Lincoln Park Police are looking for the man responsible for a home invasion and theft of a vehicle, and the suspect may have left a clue that could lead investigators right to him. The suspect stopped at a McDonald's in Taylor in Lauren Lee's stolen Ford Explorer and left a time-stamped receipt in the vehicle. 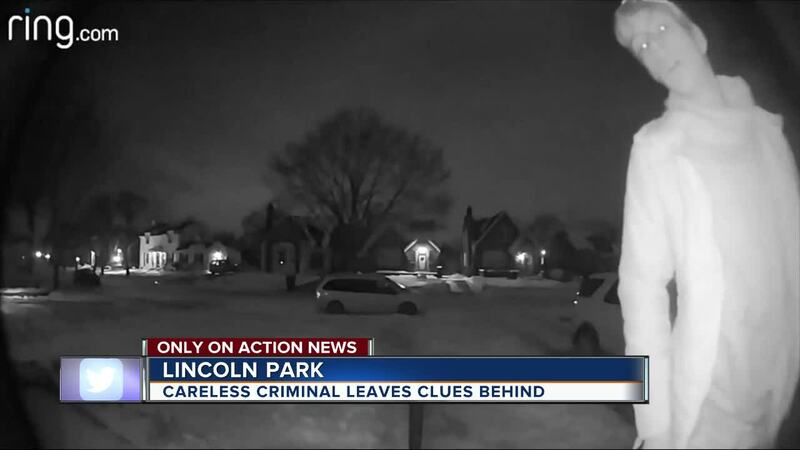 LINCOLN PARK, Mich. (WXYZ) — Lincoln Park Police are looking for the man responsible for a home invasion and theft of a vehicle, and the suspect may have left a clue that could lead investigators right to him. The suspect stopped at a McDonald's in Taylor in Lauren Lee's stolen Ford Explorer and left a time-stamped receipt in the vehicle. Lauren found the receipt when the stolen SUV was returned the next morning. "I've never heard of anyone stealing a car and bringing it back," Lauren told 7 Action News. It all started around 2:30 a.m. Tuesday when the family's dogs alerted them to an intruder who got in through an unlocked side door and grabbed the keys to Lauren's vehicle. Lauren's husband chased after the man but he escaped in her SUV. The next morning, sometime between 7:24 and 7:45, someone returned the vehicle, hastily parking the stolen vehicle across the street from the family's home. The key was inside and so was that receipt for McDonald's, time-stamped at 5:29 a.m. Tuesday, just three hours after the vehicle was stolen. A Neighbor's Ring doorbell camera captured the suspect on video. Click on the video to hear from Lauren in Kimberly Craig's report. Anyone with information on the suspect's identity should call Lincoln Park Police.